8 way, hand-tied coils, down blend pillow tops, and leather upholstery. 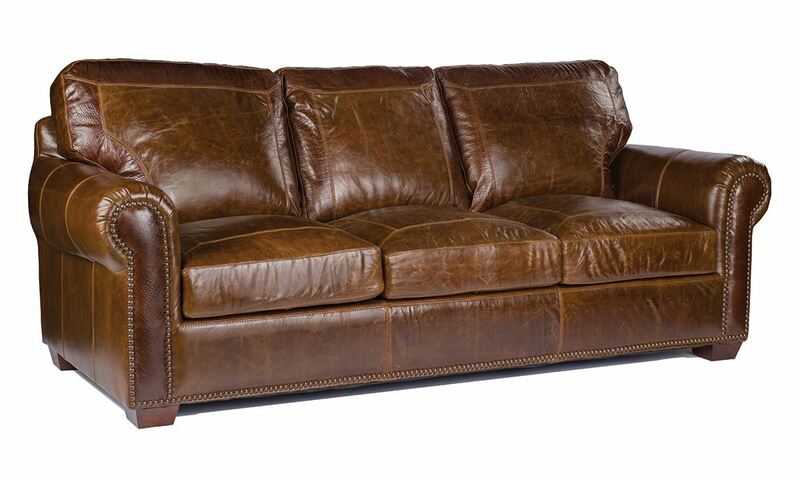 The premium quality Caiman Sofa features top-grain leather upholstery in a two-tone pattern with gator embossing accenting the darker toned areas. 8 way, hand-tied coil support holds plush cushions with down blend pillow tops, and nail head trim finishes the look with accents throughout. EXCLUSIVE: Designed by Rocky Mountain Leather Company exclusively for The Dump!